Brrr! It may be cold outside but there’s no need to let the chills get in the way of your fashion favourites! Here are our top 5 Damart picks to keep you cosy and stylish this Winter. Wrap up warm in this cosy padded Thermolactyl Parka with detachable faux fur trim and gold-tone zip and fastenings that add a luxurious touch. This versatile coat can be worn with or without the detachable hood when the weather calls for it, giving you two different looks. As always you can trust our clever Thermolactyl fabric to keep you nice and toasty. Stay snug all season in our gorgeous Fluffy Sequin Sweater. This cosy knit is not only ultra soft and comfy to wear, it’s scattered with sequins to give you an easy-to-wear glam look in an instant. A must-have for your festive wardrobe as it can take you from day through to evening! 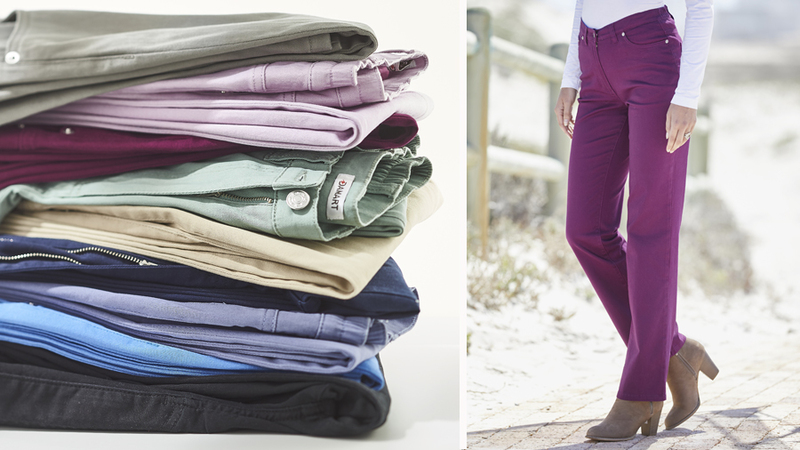 Choose from three colours and pair with jeans, smart trousers or skirts for a stylish outfit whatever the occasion. Style your sweater and parka with our best-selling, easy-care Cotton Stretch Trousers. Comfortable for everyday wear thanks to the side elastication at the waist and stretch fabric that gives a flattering fit. Add these seasonal essentials to your Winter wardrobe today. Want Winter warmers for your feet? Look no further than these Thermolactyl Faux Fur Trim Thermal Boots! 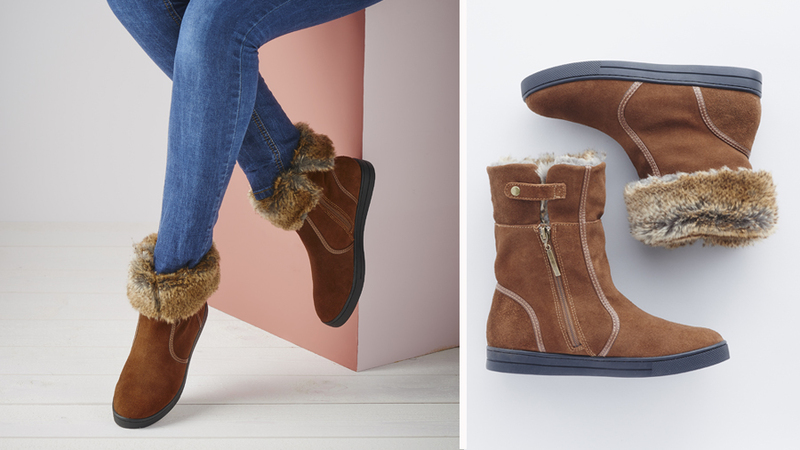 Treat your feet this season to the cosy thermal lining and the faux-fur trim (that can be worn up or folded down) a versatile addition to your cold weather wardrobe. You’ll love the wearable 2.5cm heel and the stylish zip fastening. Complete the look with our Pom-pom Hat – the must-have accessory this season! 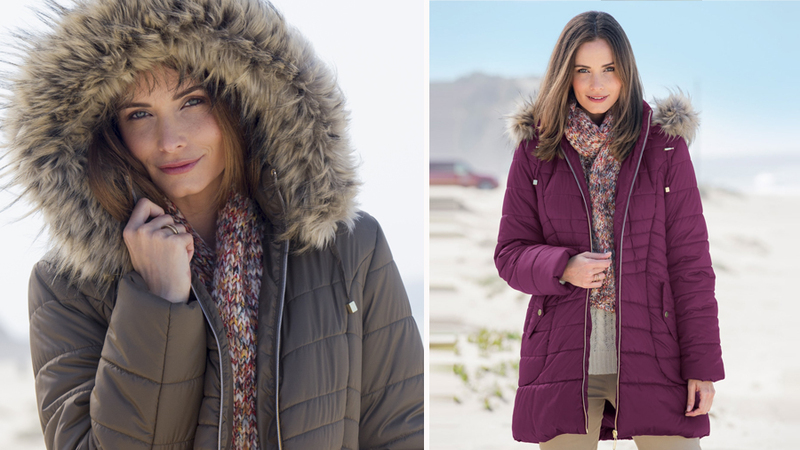 Both fashionable and practical, it’s made with wool for added warmth and comes in 3 stylish colours- all with the faux fur pom-pom to add a fun finishing touch to your Winter look! There you go – warmth and style from head to toe! Shop our top 5 Winter picks at damart.co.uk today.